Atlantic Scuba dive centre now stocks a small range of freediving (free diving) equipment, at our shop in Mabe, near Penryn in Cornwall. 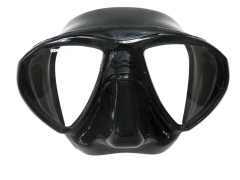 The world of freediving equipment is forever growing, as the demand is increasing. We have decided to stock some basics, suitable for the novice up to a capable freediver. 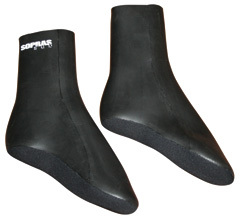 Sopras Sub’s range of freediving gear, Sopras Apnea, have been chosen for their price and quality. We keep fins, masks, weight belts, weights, snorkels and even a freediving training buoy. Manufactured in Germany, BONEX offer a range of underwater scooters that are the result of years of intensive development. Their products stand for compactness, high performance and reliability. Bonex underwater scooters are the most compact professional scooters world-wide with an unbeatable performance/weight ratio. They are a perfect combination of low weight and long run times! Powered by BONEX, the compact, travel-friendly AQUAPROP is extremely lightweight at only 6kg. This makes it ideal for everybody and can be used in a wide range of locations, such as swimming pools, lakes and the sea. Fun for everyone who loves the water! The UNIVERSAL and PERFORMANCE ranges offer transport solutions for technical divers wanting to explore deeper and further. UNIVERSAL models (Ecos/Ecos+/Ecos S) use modern and reliable servo motor technology, powered by Lithium-ion batteries. Because they are lightweight, at only 15kg, they can easily be transported for ocean, wreck and cave diving. PERFORMANCE models (Reference RS/Discovery RS/Infinity RS) are more capable and designed for use in more challenging conditions, like strong currents, and for divers loaded with extensive gear or covering greater distances. Kent Tooling are a small U.K. based manufacturer of stainless steel diving accessories. 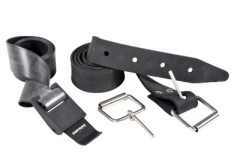 They make a range of reels, backplates, brackets, twinset and rebreather accessories. At Atlantic Scuba we stock a small range of Kent Tooling reels and some accessories, all other items are available to order. Most of our staff use their reels because they last and are virtually indestructible. Ratio are an exciting, forward looking company with some great products. With two ranges, the watch style iDive series and the large screen iX3M series, there is a lot to choose from. We keep a wide range of Tecline regulators in stock at our shop on the Tecline stand. View our range in our Online Shop. 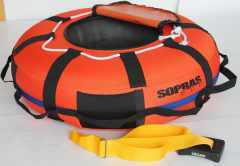 As a Sopras Sub Premier Dealer we carry a wide range of Sopras Sub diving equipment. Sopras Sub have a manufacturing base in the Czech Republic where they manufacture their equipment. With a very wide range of scuba diving equipment for the recreational and technical diver, Sopras Sub are fast becoming a major player in the diving world.